Home Resource Server Side Swift Celebration Giveaway Winners – and Last Day for Discount! 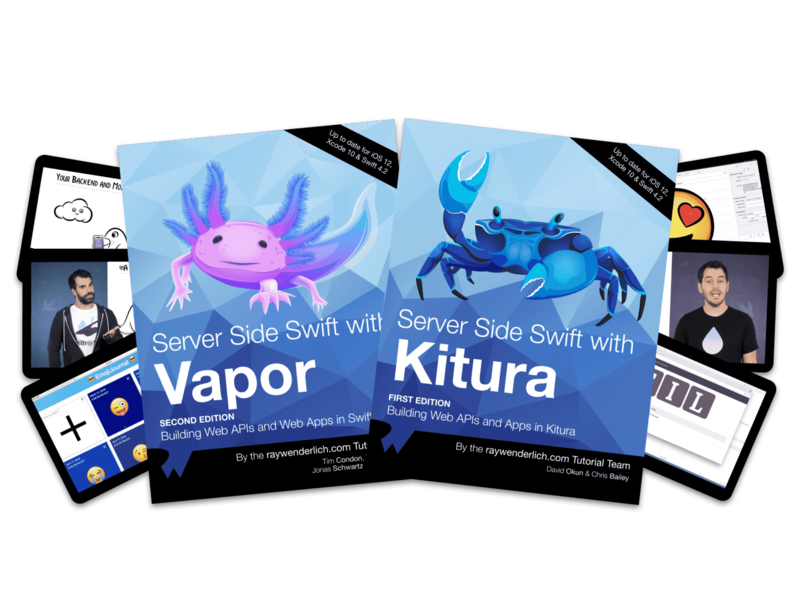 Server Side Swift Celebration Giveaway Winners – and Last Day for Discount! The Server Side Swift Celebration has officially drawn to a close! We’ve had great fun showcasing our new Server-Side Swift section of the site, all of our new server-side Swift books and video courses, as well as all of the great teams behind them. We hope you found something useful or interesting along the way! 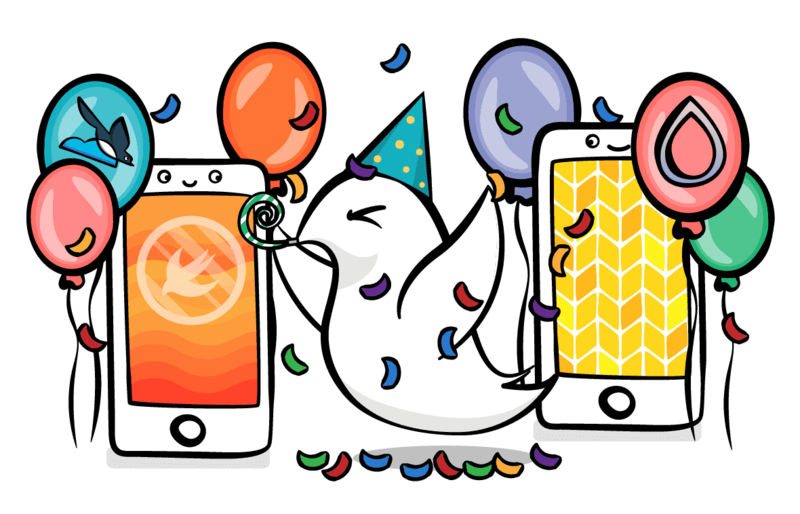 But there’s just one thing left to take care of: the Server-Side Swift Celebration Giveaway! Anyone who commented on the original launch post, telling us why they were interested in server-side Swift, was automatically entered into our draw. We’ve chosen three people at random who commented on the original post, and they’ve each won their own copy of the Server Side Swift Super Bundle! Congratulations! We’ll be in touch shortly via email to arrange delivery of your Server Side Swift Super Bundle. Last Day for the Server Side Swift Celebration Discount! That concludes the Server Side Swift Celebration! We hope you enjoyed all of the new server-side Swift resources here on the site. 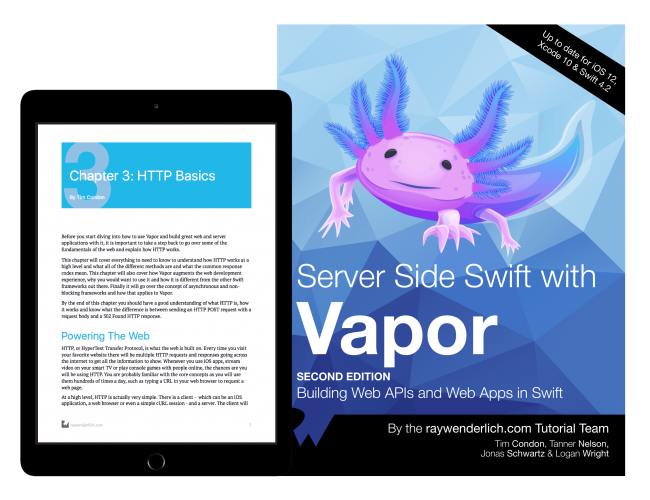 Server Side Swift with Vapor, Second Edition introduces you to the world of server development with the added bonus of using Swift. You’ll learn how to build APIs, web sites, databases, application servers and use Vapor’s very own Vapor Cloud to host your solutions off-site. You’ll use many of Vapor’s modules such as Fluent, Vapor’s ORM, and Leaf, the templating engine for building web pages. 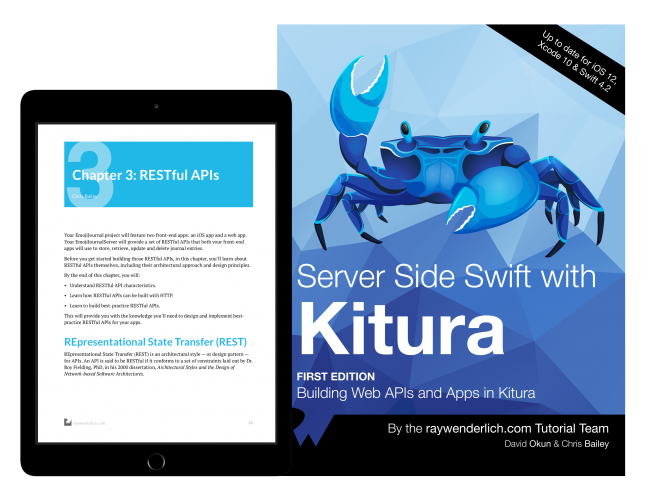 And if you can’t choose, we’ve got the perfect bundle for you: the Server Side Swift Super Bundle gives you both books for just $99.99 — and that includes your first month’s subscription to all of the great video resources here at raywenderlich.com. This bundle is available in our online store — but don’t wait, since it’s only available until the end of Friday, March 8, 2019! Thanks again to our Server-Side Swift book teams, video teams, and tutorial teams for creating all of the great content. And the best part? You can count on seeing even more great content on server-side Swift in the months to come. And a super-big “thanks” to you, our readers, who support us in everything we do here at raywenderlich.com!